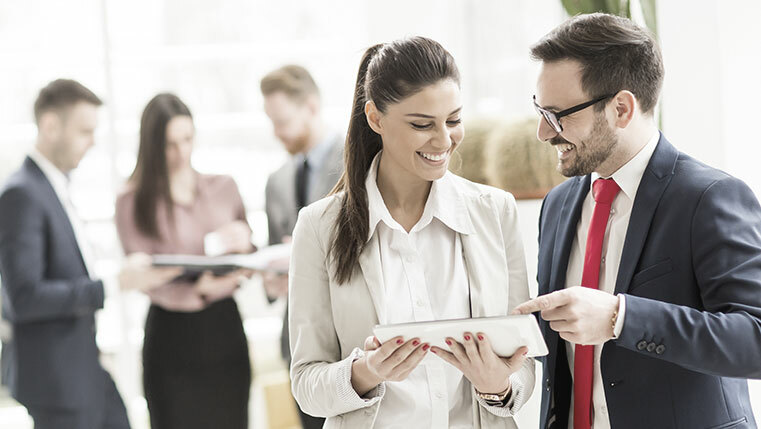 Designing and developing e-learning courses that appeal to learners, engage them, and facilitate effective knowledge transfer has to be backed up by effective delivery mechanisms for the courses to reach your employees. One of the best ways to do this is to make online courses SCORM or AICC compatible and host them on a learning management system. Modern e-learning development authoring tools have several publishing options to make courses available to learners such as to HTML5 or video. Articulate Rise, the web app that helps develop responsive e-learning offers several options to publish or share online courses with learners in different ways. It also allows multiple users to review the course simultaneously. 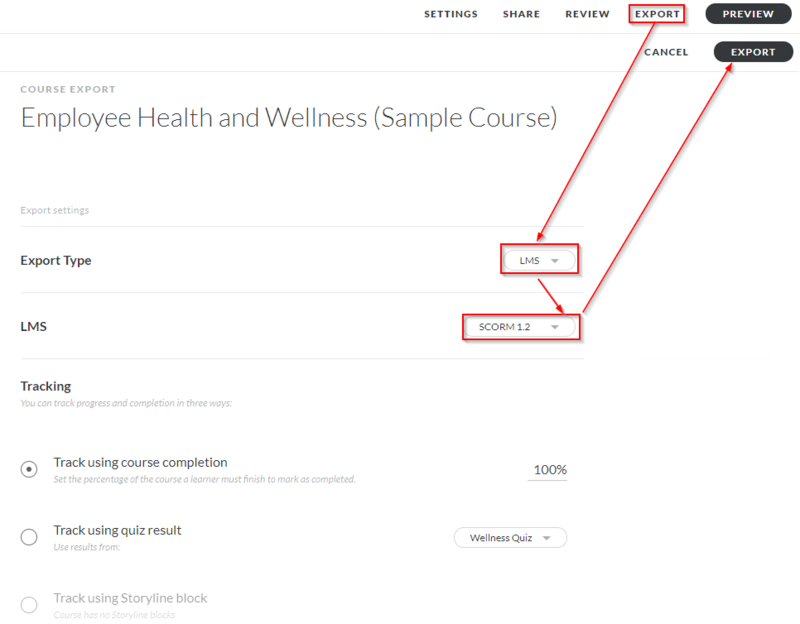 If you are done creating the course in Rise, you can publish and share it with your internal teams, clients, or stakeholders for their review and to get their feedback. It is as simple as passing on the course URL to anyone to preview the course. In this blog post, we’ll take a closer look at each of these four publishing features, and explore how they help learners/users. 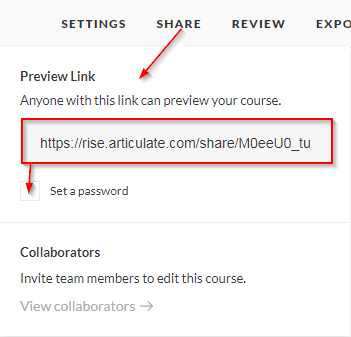 Sharing the web link is the easiest way to share a course; this uses a unique URL for each course. Just copy the URL and you can share it with all intended recipients via your email. However, this publish feature is more helpful for internal team reviews, or for small teams or groups to access the course quickly. When shared as a web link, learner activity and progress through the course are not tracked. 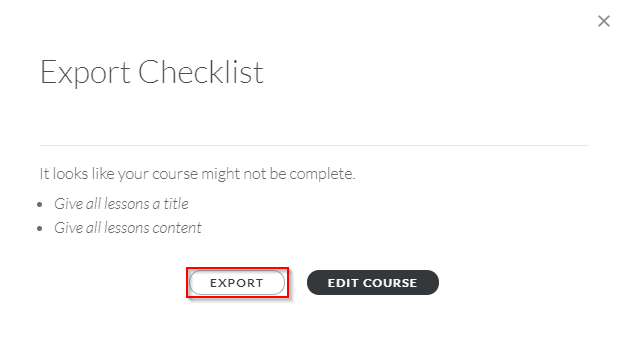 When you use the ‘Export an LMS Package’ option in Articulate Rise to share your courses, it generates an LMS (SCORM, AICC, xAPI) compatible package. Rise generates a zip file for the course. Learners need to login to a web portal to access the course. Exporting a course to the web output allows learners to access a standalone course through web server. But learner activity is not tracked. After publishing a Rise course to the web, you can host it on any platform, not just a learning portal. You can easily access the course anytime anywhere, from any device. If you host online, it requires an Internet connection to access the course. Also, learners need access to a downloadable zip file to extract the course on their device. This is a recent addition to Articulate. As e-learning courses developed using Articulate Rise are fully web-based, there is no option to download the source files like we have in other apps such as Articulate 360, or Studio 360. The Export a PDF feature allows you to take a backup hard copy, print, and/or share the course easily. The PDF can be used in many ways. You can print each individual page using the option Ctrl + P or save the entire course as a PDF. However, when you publish your course to the PDF file format, there are certain limitations. Refer here for more details. These are the various publishing options available with Articulate Rise. Go ahead and use the option that best meets your need.